Apple is the world's largest gadget company as an iPhone product owner company, now comes the iPhone XR series, Iphone XS, and iPhone XS Max which is the latest generation of the X series iPhone. 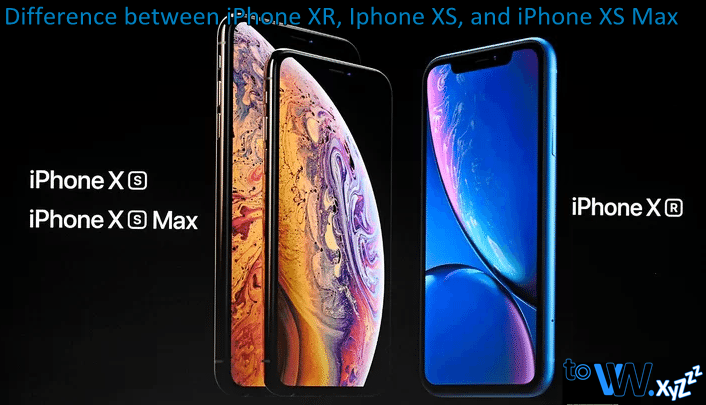 Apple launches the latest 3 iPhone series simultaneously, what are the differences of iPhone XR, Iphone XS, and iPhone XS Max? Here is a comparison of the three smartphones. The size of the iPhone XR, iPhone XS, and iPhone XS Max is different, for the iPhone XS it has a size of 5.8 inches, iPhone XS Max 6.5 inches, while the iPhone XR carries a 6.1-inch LCD screen. This LCD screen panel is one of the factors that makes the iPhone XR sold at a cheaper price. The iPhone XS and XS Max have advantages over the XR series because they are supported by the Super Retina screen, while the iPhone XR uses the Liquid Retina screen. The iPhone XR only has a single rear camera, while the iPhone XS and XS Max have 2 rear cameras. The back camera of the iPhone XR, XS, and XS Max has a resolution of 12 MP as well as a camera behind the dual MP resolution of 12 MP each. The single camera of the iPhone XR uses a wide angle camera, while the iPhone XS and XS Max dual rear cameras consist of wide angle and telephoto cameras. The camera has been supported by OIS (Optical Image Stabilization) to keep recorded images stable and smooth. iPhone XS and iPhone XS Max have an internal memory capacity of 64 GB, 256 GB and 512 GB. One Smartphone that has large internal memory reaches 512 GB. While the internal memory capacity on the iPhone XR is 64 GB, 128 GB and 256 GB. Memory size distinguishes the price of the XR and XS series iPhone. The iPhone XR battery is claimed to be able to last 90 minutes longer than the iPhone 8 which is the smartphone with the best battery life in the world. Whereas the iPhone XS can last 30 minutes longer than the iPhone X, while the iPhone XS Max can last up to about 90 minutes longer than the iPhone X. In the iPhone XR and XS series it is claimed to be able to last longer and provide the best experience because the battery life is very strong. The durability of the iPhone XS and XS Max has IP68 certification which makes it waterproof with a depth of two meters for 30 minutes, besides that it is dustproof so it is not easy to get dirty. For the iPhone XR, the certification it has is IP67, which makes it able to survive in water with a depth of one meter for 30 minutes. The basic material used on the iPhone XS and XS Max uses Stainless steel with a glass coating, while the iPhone XR series is wrapped in an aluminum body with a layer of glass. It has very strong resistance, besides Apple claims that the XR and XS series are not easily exposed to dirty and easy to clean so there is no fingerprint on the layer. And for the iPhone XR color variants are superior because there are many colors such as blue, coral, yellow, white, black, and red. While the iPhone XS and iPhone XS Max only come in standard colors such as space gray, silver, and gold. That is the difference between the Iphon XR and XS series in general, hopefully it is useful. Thank you for visiting the ToveweXYZ Website. 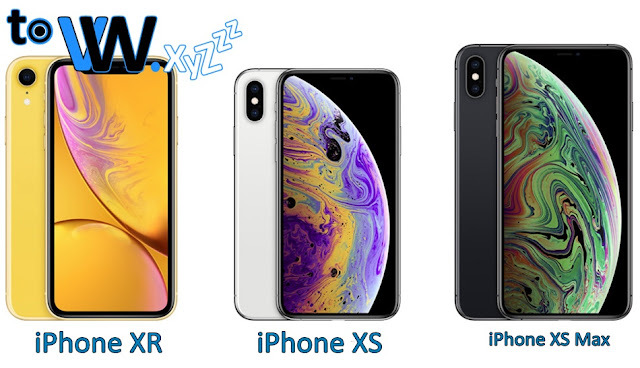 Keyword Search: iPhone XR Iphone XS and iPhone XS Max, Difference iPhone XR Iphone XS and iPhone XS Max, Comparison of iPhone XR Iphone XS and iPhone XS Max, Specifications iPhone XR Iphone XS and iPhone XS Max, Information iPhone XR Iphone XS and iPhone XS Max, Explanation iPhone XR Iphone XS and iPhone XS Max, About iPhone XR Iphone XS and iPhone XS Max, Complete Information iPhone XR Iphone XS and iPhone XS Max, Details iPhone XR Iphone XS and iPhone XS Max, What is the Difference iPhone XR Iphone XS and iPhone XS Max , How is the Difference and Comparison of iPhone XR Iphone XS and iPhone XS Max, iPhone XR Review Iphone XS and iPhone XS Max, See the Difference iPhone XR Iphone XS and iPhone XS Max, Significant Difference between iPhone XR Iphone XS and iPhone XS Max, Apple iPhone XR Iphone XS and iPhone XS Max.